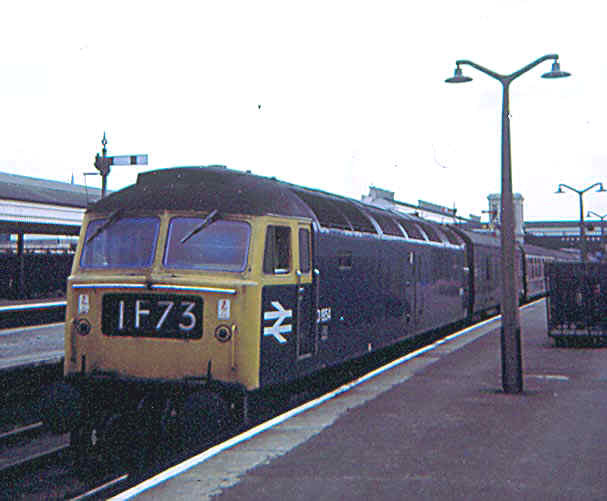 A Western Region Class 47, 47078 Sir Daniel Gooch, is seen at Weymouth. 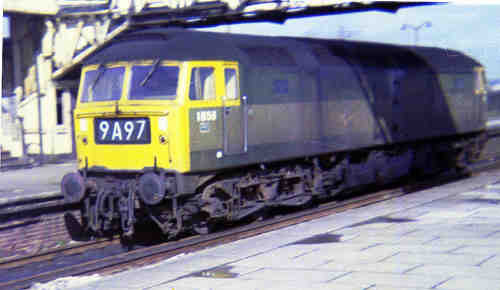 This class of 512 examples became more and more widespread over virtually the whole of the BR system during the 60's and 70's and could be seen on all types of services from express passenger to heavy coal trains to power stations. This one is named after the first Chief Mechanical Engineer of the GWR. Photo by John Griffiths. 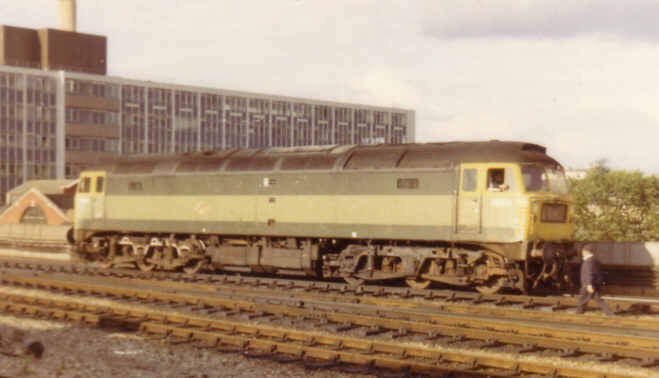 D1576 in original two tone green at Cardiff. 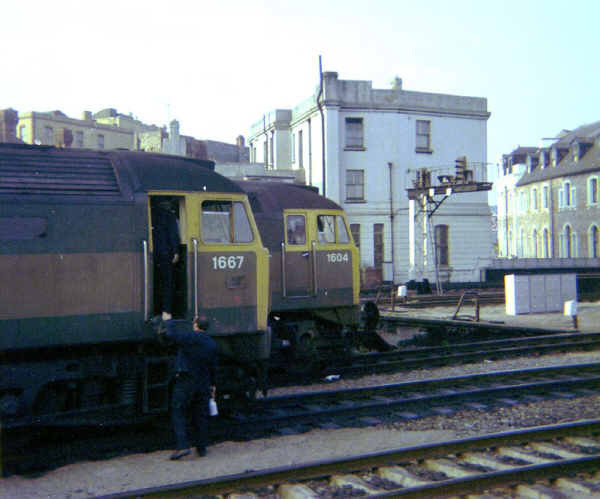 Two green Brush at Cardiff, 1667 was changing crews alongside 1604. D1937, also at Cardiff but in BR blue. 1954 at Exeter on 5/9/72. 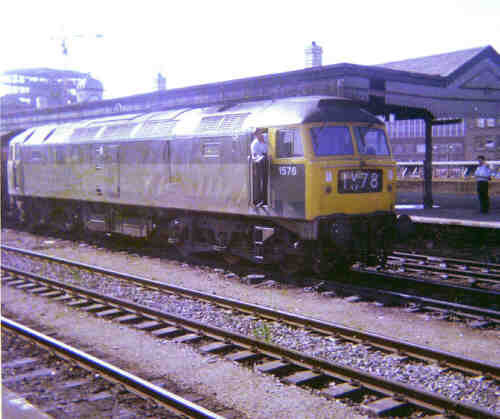 Don't know what train but looks as though it was a Plymouth or Paignton to South Wales service. Built at Loughborough D1954 never carried green livery. 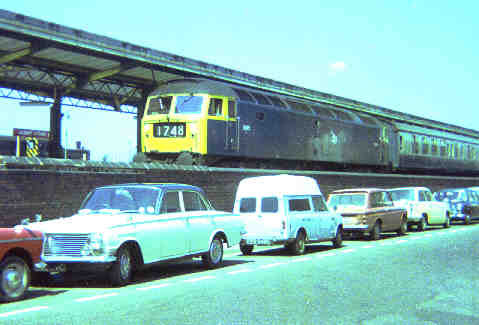 It later became 47510 & then 47713. 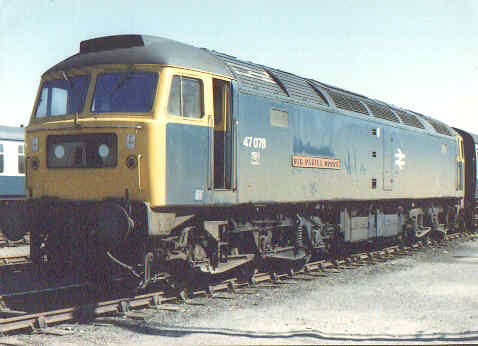 As an early Class 47/7 casualty 47713 was withdrawn in 1988 and broken up at a Leicester scrapyard in 1990.Photo by Steve Marshall. (D)1832 running on to Bristol Bath Road shed, all now just memories. Photo by Glen. 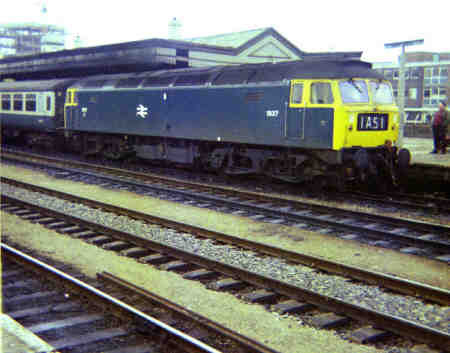 This page is confined to early Western Region Brush Type 4's (Class 47 as they later became). There are more recent photos of them in various sections of this site.